The TORMAX iMotion 2302 product line with 150 mm installation height has been completed with the telescope version and its associated redundant versions. The new telescope drive system comes with the already known advantages of iMotion 2302: Quiet operation, long service life, dynamic door motion, low maintenance cost and integral safety features for pedestrian protection. The TORMAX iMotion 2302 Telescope can move door leaf weights up to 2 x 120 kg and 4 x 100 kg, has been TÜV tested to DIN EN 18650 / EN16005 and meets CE and RoHS requirements. Drives employing 2-motor technology for escape routes and emergency exits are also available. 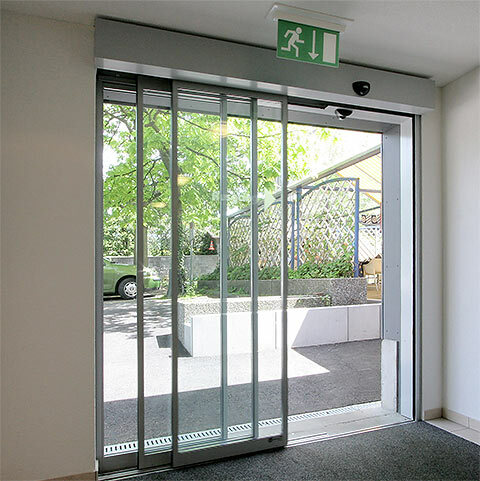 The iMotion 2302 Sliding Door Drive will gradually replace the iMotion 2301.